In this course, we’ll talk about some of the most common coding problems and how to avoid them. As we’ve mentioned in the previous courses, the coder’s job is to code to the highest level of specificity. This means abstracting the most information out of the medical reports from the provider and taking accurate notes. It also means knowing the medical terminology for both procedures and diagnoses. Coding to a general level, or undercoding (which we’ll discuss in a moment) can lead to a rejected or denied claim. Of course, not coding to the highest level isn’t always the coder’s fault. In certain cases, the provider won’t give the coder enough information about the procedure they’ve performed. Providers may leave important details of the procedure out of the report, or they may provide illegible medical reports. This problem is exacerbated by the next trouble spot on the list. Ideally, every coder would be in constant contact with the provider they’re coding for. Unfortunately, that’s not always the case. Providers aren’t always available to consult on difficult-to-understand claims. 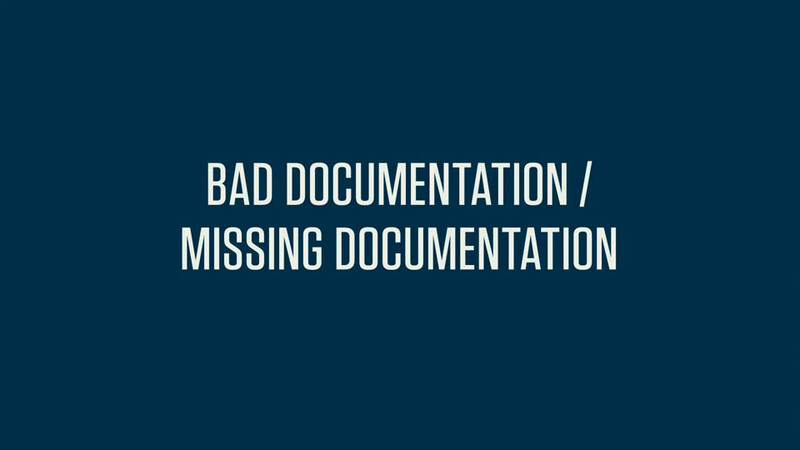 Coders have to do the best with what they have in these situations, but you should still try and clarify the report as best as you can. The organizations that maintain the three principal medical coding code sets (the WHO for ICD, the AMA for CPT, and the CMS for HCPCS) update these manuals yearly. It’s up to coders to learn any new or reorganized codes as they come out, and use them correctly. This is partly why professional organizations like the AAPC and AHIMA require every member to complete a certain amount of educational credits every two years. Keeping your skills sharp is imperative. We mentioned these in Course 3-7, but they’re worth mentioning again. Undercoding is the purposeful reportage of less expensive medical services than were performed, while overcoding is the reportage of more expensive procedures than were performed. Both of these are fraudulent, and can lead to audits and investigations. These aren’t errors, per se, but we’re obligated to mention them here as something you absolutely must avoid. Like under- and overcoding, unbundling is not so much of an error as it is a fraudulent practice. Unbundling is closely related to upcoding, in that it involves false reporting designed to earn the provider a higher payout from a payer. Unbundling means separately coding procedures that would normally be included in one umbrella code. Your work as a medical coder will be detail-oriented and full of tiny choices to make every day. You can avoid a lot of medical coding errors just by double-checking your work. Read over every medical report twice (at least), and never let yourself get “too familiar” with a particular code set or set of procedure codes. It’s not always possible to talk frequently with your provider (especially if you’re working for an off-site coding agency). Still, you should work to develop relationships at each provider’s office, and try and communicate with them regularly. This will make it easier for you to ask them for clarification on any particularly thorny medical reports. Every year, you’ll have to update your coding manuals with their latest versions. In many cases, brand new manuals will be provided by your employer as part of a work expense. If not, it’s worth it to buy new ones every year yourself. These manuals include new codes and new, revised guidelines, and having the latest edition is imperative if you want to stay up-to-date. This video discusses the most common problems faced in the medical coding profession and how to avoid them.